Streetwear has its own lane in the fashion race these days. It’s now a staple in the style spectrum. Whether it's uber fashion house Louis Vuitton collaborating with skateboarding-brand Supreme or Comme des Garcons mixing it up with Converse, streetwear is endorsed by both luxury and athletic brands as having a culture all its own. It’s laissez-faire. It’s in. And Palm Angels is at the forefront of this movement. This style move is for when you’re out of the boardroom and in the skateboard room (…or just out there on the streets). Style Advice: This may be one of the easiest and most effective looks to mimic. Track jackets are back and here to stay, so they make for good investment pieces. You don’t (and shouldn’t) always have to pair them with matching track pants, so they just add to the versatility. 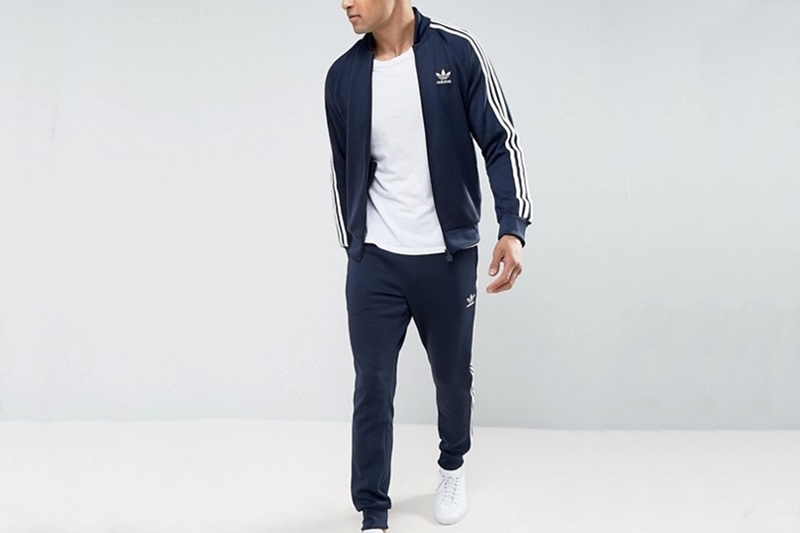 Get a classic blue track suit from the three stripes, and you’ll have plenty of ways to maximize their individual wears. This deep blue sea color is a shade brighter than navy, so you’ll still stand out in the track crowd. Logo mashups are a thing now, like when your outfit displays both Adidas and Champion, for example. You can play it safe and still keep it stylish by keeping it all one brand, but it’s no longer a fashion faux-pas to combine the track suit with black slides from Calvin Klein. Add some visual character with a checkered trucker hat and top off the look with a Guess retro dog tag chain synonymous with 80s hip hop, which is a picture-perfect representative of laid back style. Now you’re ready to hit the streets with some serious swagger. 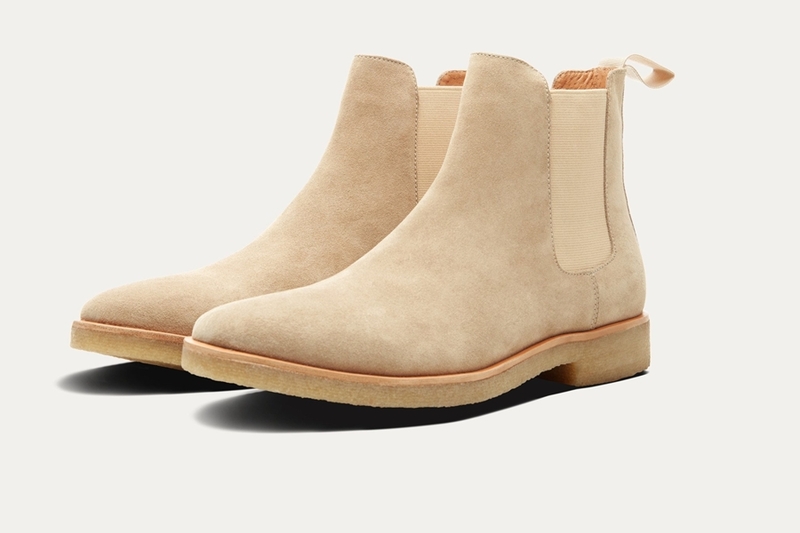 Must-Have: If you don’t have a pair of tan suede Chelsea boots by now, then it’s a good thing you’re reading this. Now is the time to invest in one of the most versatile shoes you’ll ever have. Street style, athleisure, suits… Chelseas are the ‘it’ shoes of the moment and has been for the past few years. Want the most comfortable and luxurious pair? Common Projects has designed the ultimate versions, and it’s a must-have for any style enthusiast. It is an investment piece, but if you’d like the look at a lower price point, these days they are a dime a dozen. You’ll still get great bang for the buck with this option from New Republic. Industry Update: Largely in response to Coach’s purchase of Kate Spade, Michael Kors has done some acquiring of its own… in the form of Jimmy Choo. The British brand, known for its unique and edgy style mainly for women’s shoes, was purchased for $1.2 billion. This strategic move is going to impact financials and market shares more than anything else, at least at this point, so you’re unlikely to see any tangible difference unless you’re an investor (if so, good for you). But it’s great news for luxury brands and the high fashion industry. And surely, the acquisitions won’t end here so let's sit back and enjoy the ride.